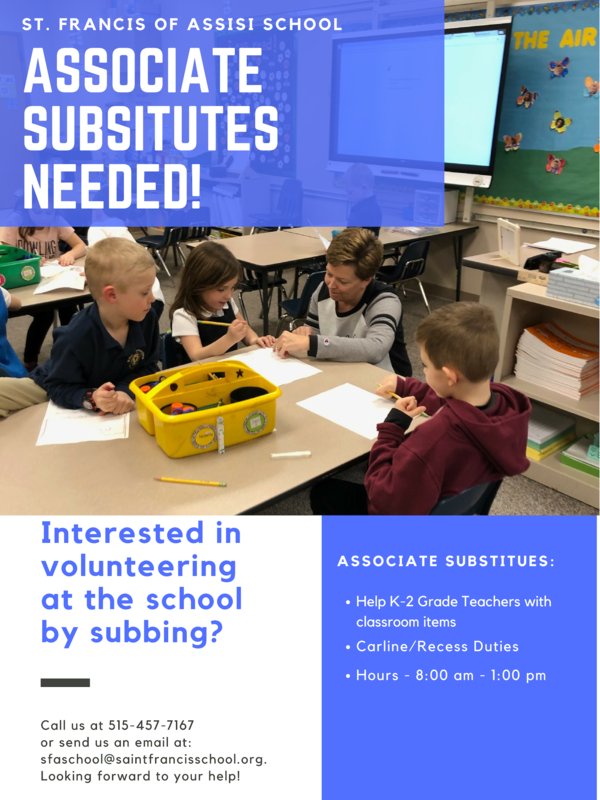 Associate Substitutes Needed Click here for more information. Knights of Columbus Scholarship is offered to help encourage enrollment in Catholic High Schools and to help defray the cost of a college education. Council 12422 will award 3 $1500 scholarships in 2019. Two to Saint Francis of Assisi Parish member, who is in 8th grade and will be attending Dowling Catholic and a third to a Saint Francis of Assisi Parish member, who is a high school senior going to any college or university. The scholarship will be awarded to someone who has shown a balance of good character service and academics. 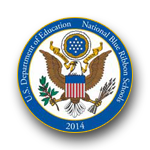 Please click on the link above for more information. 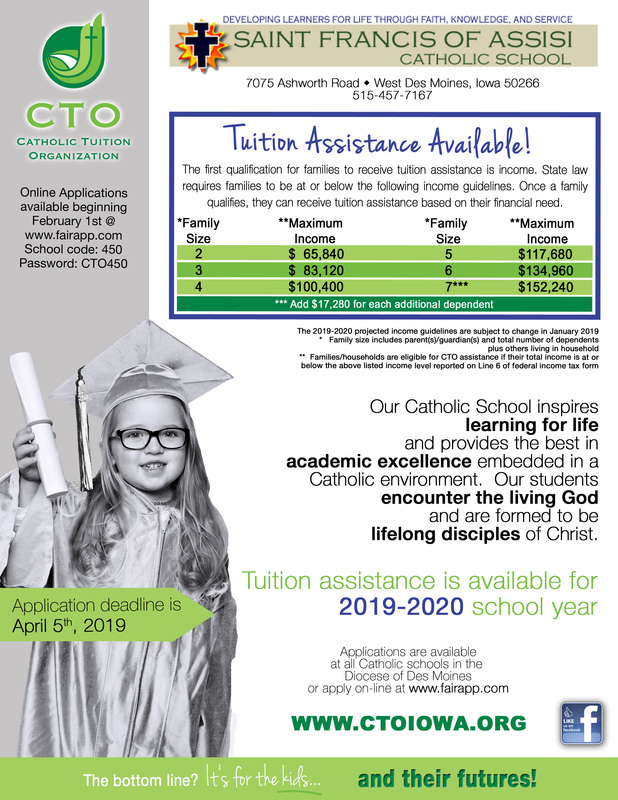 2019-2020 Tuition Assistance Applications (CTO) Application deadline is April 5th. Go to fairapp.com use School Code: 450, Password: CTO450 to apply. Parochial Chess Tournament! will be held Saturday, March 30th at St. Augustin Church Cafeteria for kids K-2nd and 3rd-8th. Check-in begins at 10a and the tournament will go from 11a-4p, Cost is $7.00. Concessions will be available. Pre-Register online at dsmchess.com or contact Sergio Bravo, John Schumacher, or Nathan Apprill with questions. Riptide 2019 Summer Season Tryouts: Saturday, March 30th from 11a-1p. Catholic Football League Registration Opens April 1st take advantage of our early registration discount and check out the important dates for the upcoming season.